Are you looking for a gutter installation service in Delaware? Quality and trust come with experience and our company, a licensed and insured gutter contractor, has been serving homeowners throughout Delaware for over 20 years. By focusing on safety, quality and customer service; our gutter installers have raised the bar when it pertains to having your gutters replaced. 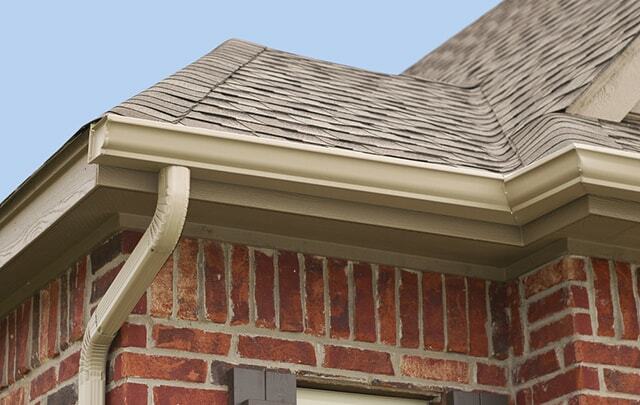 Why Choose Our Gutter Installation Contractors? Professional Gutter Installers Are Here To Help You! Schedule A Free Quote Today! Our track record for quality workmanship and excellent customer service is well-known throughout the areas we service in Delaware. From your initial free quote to project completion, we ensure every aspect of the project is completed to your satisfaction. As the best gutter replacement and installation contractor near Delaware, we understand that it can be hard finding experienced contractors that you can trust. There are many gutter companies to select from, but our dedication to your complete satisfaction is what sets us apart from our competitors. What Does Gutter Installation Cost in Delaware? The cost of getting gutters installed in Delaware is going to vary from house to house. The best way to find out the true cost to replace your gutters is to set up a free consulation with one of our gutter installation experts. After scheduling an appointment, a member of our team will meet with you at your home to assess your needs, provide insight, make recommendations and answer any questions you may have. They will also give a free quote on any work you need done. We recognize that getting new clients is based on the quality of craftsmanship we have delivered, which is why we always put our best foot forward. Whether you need new gutters installed or an old gutter replaced, Delaware Roofing and Siding Contractors will supply you with the solutions you require at a cost that is within your budget. If this is your first time dealing with a gutter replacement project, you probably have a few questions that you would like to ask. Call us today to arrange a free consultation with a knowledgeable gutter expert who can walk you through the process and answer all of the questions you may have.